The Big Turn Music Fest is a 2 day city wide event building community through music in downtown Red Wing, MN. With top musicians from around the area / region, it's going to be an incredible experience you're not going to want to miss. Pack up your parka and get ready for some good music. Tickets on sale at the Sheldon Theatre box-office. Purchased your ticket online? Please redeem your ticket at the Sheldon for your wristband. This option is your 2 day pass to every BTMF venue and show (capacity allowing). Did we mention that’s 21 venues and 164 bands to pick from? Get your shows planned. Same as the 2 day ticket, this gives access to every BTMF venue and show (capacity allowing). BUT as a VIP, you’ll also have access to our artist hospitably HUB and access to the 3rd floor loft at the Sheldon. 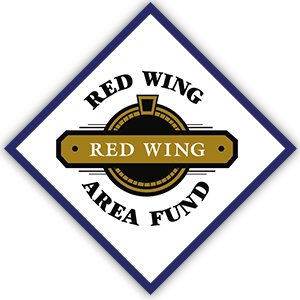 The BTMF hub is located downtown Red Wing in the heart of the festival. Can't make it both nights? We've got you covered! Single day passes now on sale for $35 per day! Single day passes allow access to all venues and BTMF shows. Have a Spotify account? Pull up the BTMF headliner playlist and get the lyrics down. If you don't, take a listen to a quick preview and map out your venues and times to hear a full version. Either way, enjoy a playlist of artists you can catch live at BTMF 2019. The official Big Turn Music Fest Logbook is here! Take a look, write down your favorite artist performances, map your experience and be ready for the big weekend. Every great festival depends on the people who are able to donate their time and passion towards making it possible. Want to lend a hand? We’re looking for volunteers to help orchestrate the festival in all different types of capacities. If you’re looking to be apart of the Big Turn in a Big Way, drop us a line! Click the button below to fill out the volunteer form. PS there may be some wristbands involved…. We wouldn't be able to put this on without your help. Thank You for your continued support.